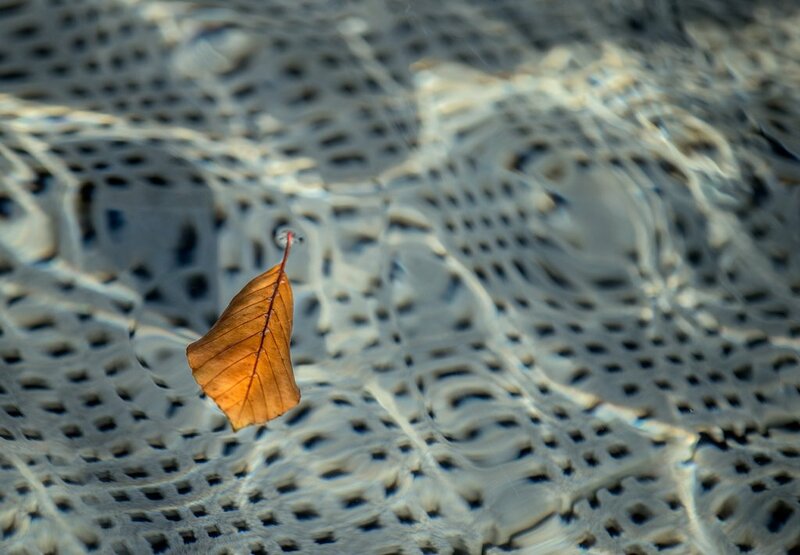 A lovely drifting feeling to this capture of the beech leaf -- great presentation --love it ! Spectacular shot Alison. Instant fav!!! I like how this looks like it is floating. Amazing shot of this floating beech leave. Love the pattern and light reflection under water. It's water isn't it? Fav. this is so effective alison and rather beautiful too . I've just realised you are counting down with numbers on your images. Have I missed something a while back. Confused !!! @phil_howcroft Thank you for your kind feedback, Phil, much appreciated as always. The 'ababstract' tag is to collate my own abstract work. I'll have to check the numbering, don't want to get that wrong. I like the abstract spelling in ababstract ;) Oh, and the leaf is pretty nice too. Is that a doily underneath the water? @sabresun :) Nope, not a doily. @mona65 Thank you, Mona. Yes, it is water; it's part of a public fountain. Beautiful light on the leaf and I like the effect of the water on the patterned background. Excellent shot. Fav. Starring at it made me dizzy. This is lovely on black. The leaf looks more falling than fallen. It's very attractive against the background. Thank you so much for your lovely words of comfort!! I love the contrast of the leaf against its background. Am loving your new style too! Really well done indeed and looks really brilliant and colourful fav.